There is sometimes a misconception that people with learning disabilities will opt for a college placement prior to attending a day-centre. There has often been limited scope for those with learning disabilities to progress into further education and full-time employment. But people with learning disabilities may often feel that they want to expand their horizons or take their studies to a new level. 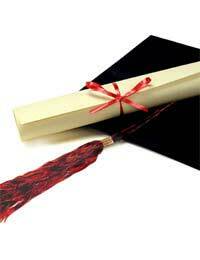 Further education may offer a wider range of options in terms of long-term planning. However, the focus on students with learning disabilities tends to fall on shorter-term college studies, with less emphasis on progression to employment. In some cases, a learning disabled person will progress to college, with only around 11% going on to employment. In other cases, the individual may simply progress to attending a day centre and not enter employment at all. Therefore, people with learning disabilities may not always be aware of the further education opportunities and support open to them. "To enable people with learning disabilities to lead full and purposeful lives within their community and to develop a range of friendships, activities and relationships." It also states that Learning Disability Partnership Boards, the Learning and Skills Council (LSC) as well as colleges should support choices and ambitions of people with learning disabilities, and that they should be able to realise their potential. In terms of inclusiveness in education, this means providing adequate support services for people with varying degrees of learning disability that wish to enter into further education. This can include support such as helping a person with learning disabilities use public transport services and other services that they will need to use frequently in order to continue into independent further education. It is felt that by supporting more learning-disabled people into mainstream education, they may have more access to further education opportunities than they would through specialised schools. However, this still reveals that those in specialised schools tend to lack inclusion. There are many learning difficulty organisations working to encourage person-centred planning and cross-agency interaction in helping people with learning disabilities in their transition from post-16 education. Many organisations feel that person centred planning is the way forward for supporting people with a learning disability into further education. This also includes getting carers and family involved in supporting planning in post-16 education opportunities, but with an emphasis on the student being at the heart of the provision rather than an assumption that they will have to fit into existing provisions. Learning disability partnership boards work on a local level. By completing an individual learning plan, people with learning difficulties can express their person aims. They should also include their specific learning requirements. By bringing all the disparate agencies together, staff within the various support agencies can work together on person centred planning to work out how best to provide adequate support to the individual. Hello please can you let me know of any independent colleges in the london area that have a provision for student with special educational needs. My son is 20 year old and now at entry level 3 in Maths and English. He spent 3 years in Acton College and the college is closing next year so he has no where to go. Any suggestions please? We don't have this kind of information but your local education authority might be able to help? An internet search for the term "London colleges for adults with special needs" brings up a quite a few details of both private and state colleges. Hello, Thnak you for the help you can provide to learning disable people. My son Daniel, is 27 years old, British and has learning disabilities. It called slow psicomotion. He graduated from high school, but has not been able to develop a carrer or any specific skill. We would like to find a program thathelps him to develop his knowledges and skills and allows him to work, in the UK. Can you help us to find this program or institution that help him? Thanks in advance for your help. Yours sincerely, Martha Jones.